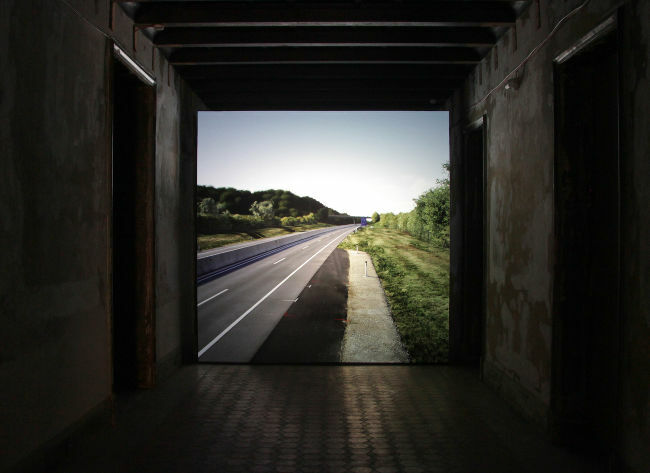 On Saturday, 29 August 2015, John Gerrard travelled to a nondescript section of motorway near the town of Parndorf, east of Vienna, Austria. 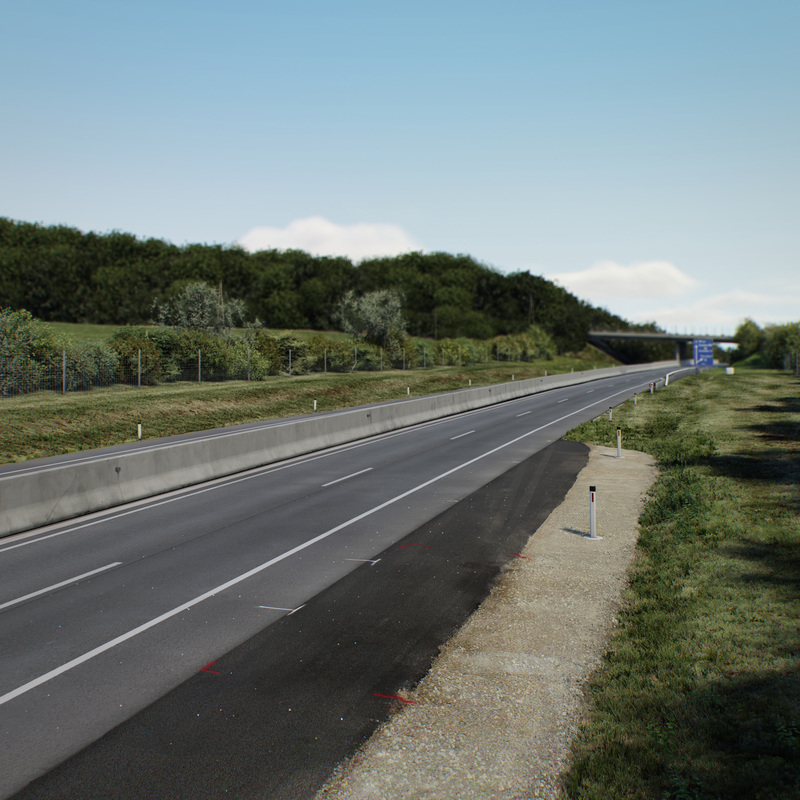 Using news images as guides he trespassed the highway verge to first find and then produce a detailed photographic survey of the location where a truck had been abandoned two days earlier, on Thursday, 27 August 2015. 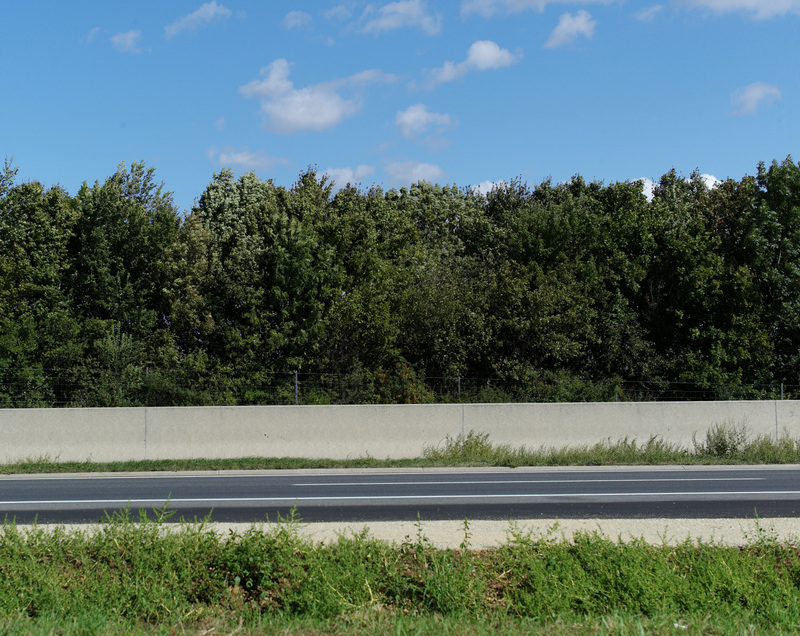 This truck was found to contain the corpses of seventy one hidden migrants from Iran, Iraq and Syria, who had smothered in the vehicle, from which the driver subsequently fled. 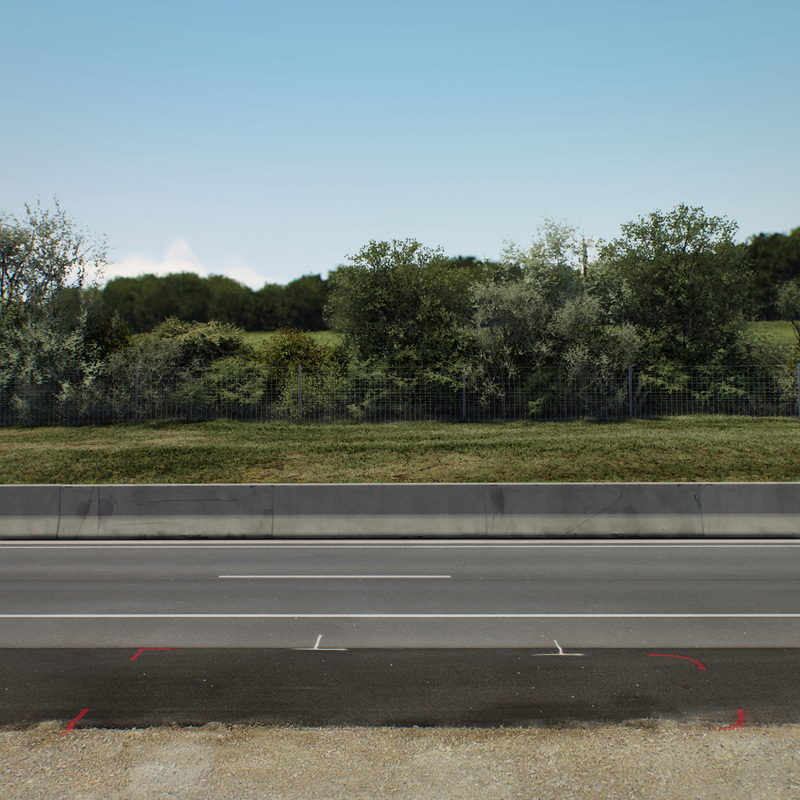 Untitled (near Parndorf, Austria) 2018 creates a detailed virtual portrait of the highway scene as it was on that day, focusing on the painted police markings which recorded the truck and tyre locations. In documenting this marked void and site of loss the work hopes to rescue this specific tragedy from a river of news that flows through society every day and is mostly forgotten. 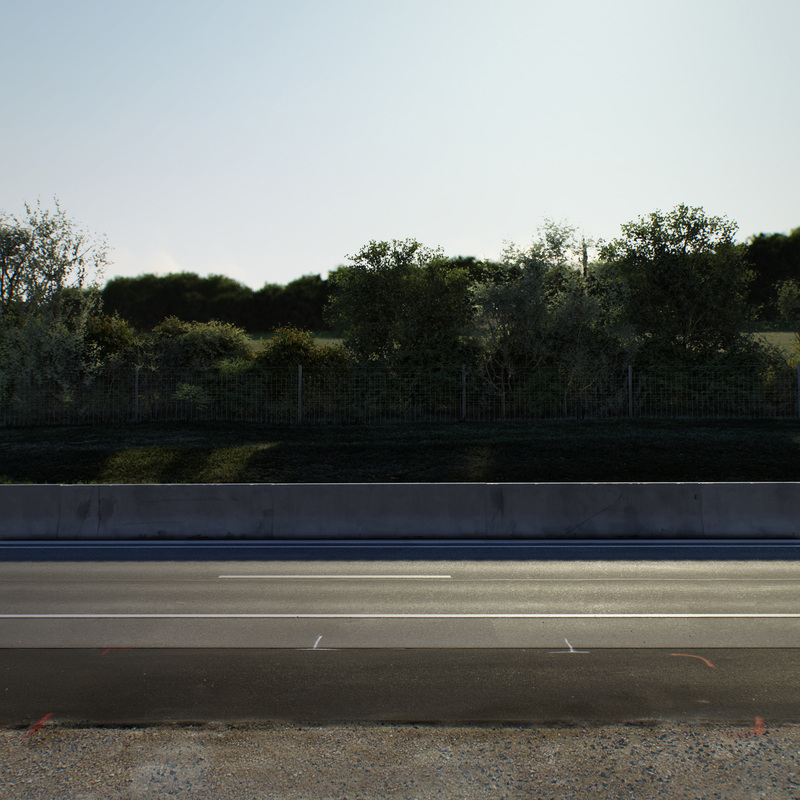 The work unfolds over an annual solar orbit of a year which includes night, day and seasonal light changes alongside a slowly turning camera which looks upon the site. 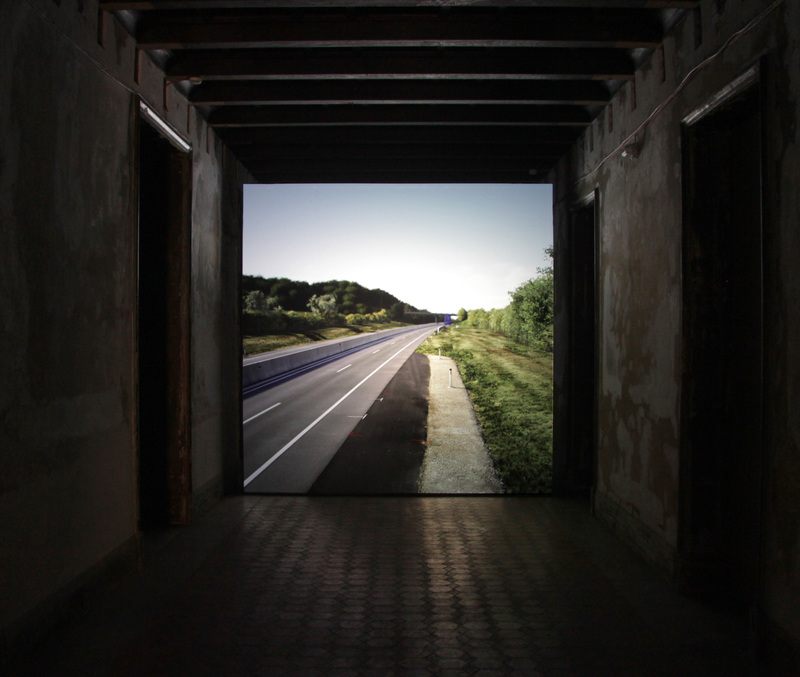 Commission supported by Phileas, A Fund for Contemporary Art, Vienna.